Mark Your Calendar and Reserve your Room! A show and competition for waterfowl collectors, carvers, and wildlife artists. The Ohio Decoy Collectors and Carvers Association is an Ohio registered non-profit, volunteer-staffed organization. In our 42nd year, our show is open to all, and we welcome and respect all of our participants and visitors. On the second weekend of March, we host a two-day show, open to the public, to provide a venue for collectors to buy and sell, and for carvers and wildlife artists to compete and win recognition for their efforts. On March 10-11, 2018, we will be celebrating our 41st annual show at the Holiday Inn, 15471 Royalton Rd., Strongsville, Ohio, 44136. Your dues help pay for the printing and mailing costs of our newsletter, this website and the many expenses associated with a high-quality two-day show. Dues run from Jan. 1 thru Dec. 30 and are payable now: $20 for one year, and $55 for three years. the Competition Rules and Winners Listing. family to the ODCCA show. For your convenience, click here to print out our membership form and mail it in today. Questions? Contact membership chairman, Barbara Juhasz (937)-431-4892 or click here to email barbarianj@hotmail.com. ODCCA is dedicated to the preservation of our waterfowl heritage by collecting old vintage decoys and crafting new decoys, inspired by the art form of the American Decoy, made by hand, one-at-a-time. To preserve this tradition for future generations, we strive to promote the history, knowledge and creation of decoys and wildlife art by educating and mentoring adults and children. ​We recognize the artistry and craftsmanship of decoys and their uniqueness as American Folk Art. 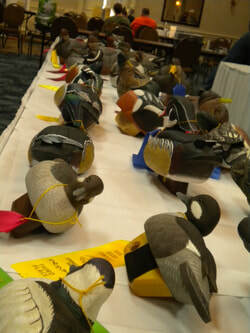 Our show brings together a unique blend of decoy collectors, competitive carvers, wildlife artists, vendors, young and young at heart from throughout the United States and Canada who love and appreciate one-of-a-kind waterfowl and wildlife art.Whether you are just beginning or are advanced, there is something for everyone at the show. Competitors of all ages and skill levels enter collectively over 1,200 beautifully carved and painted duck decoys, shorebirds, song birds, owls, hawks, fish decoys, jigging sticks and flat art. On display for public viewing, the entries are judged and awarded based on rules for each category. Collectors, whether advanced or just beginning, will find a wide array of vintage decoys, antique fish decoys, hunting memorabilia and waterfowl art available for purchase in room-to-room sales and the ballroom. Over 40 years ago Strongsville native, Bill Green, who also was affiliated with the local Strongsville YMCA, had a vision of bringing together people who loved the art form of the American Decoy. 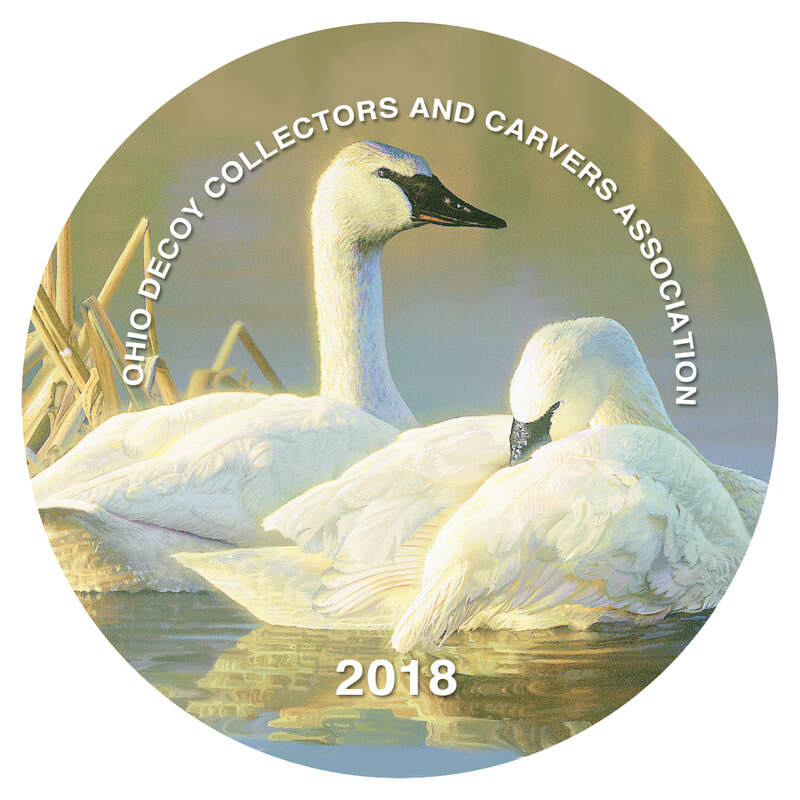 The Ohio Decoy Collectors and Carvers show has grown from its first gathering of 14 people to our present-day show that hosts almost 2,000 visitors from throughout the United States and Canada. Paul Busick, long-time supporter of ODCCA.